Hi guys I know, I know, I know *covering my eyes* I’m so sorry. Its just been unbelievably busy around here for me. What with the BREAKING FINANCIAL HARDSHIP conference that lasted one week. You weren’t there? *give me a minute, I need to pick my jaw from the floor* Are you kidding me? Where will I even start from? That’s gist for another day o! But really even if I gist you it cannot be like panadol o! Starting with september 1st : Our ministry DAVID’s CHRISTIAN CENTRE anniversary. The ministry started September 1st 1996. Leave o! Pastor K have tey in this work, he just looks young 😉 then my dear dear Pastor Peter passed on September 1st 2008 *sob sob sob* don’t even get me started on that one. Funny we miss him but more with a fondness than sadness. He still lives … Maybe in like 200 people sha because I don’t think we can ever get another ONE pastor Peter again. Mwaah! 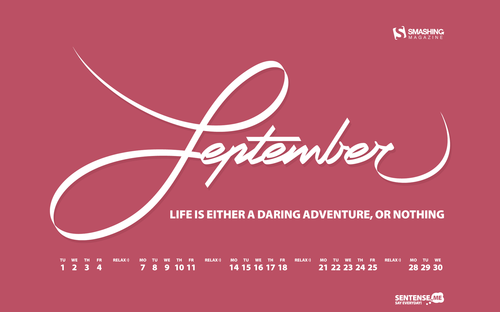 Hope this month will be as special for you as it is for me. I pray that it will be a September to Remember! Awww this post was very funny and sweet.